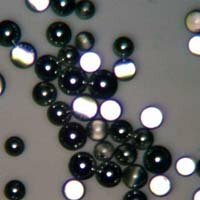 Retroreflective Microspheres are made by applying a half-shell aluminum coating on solid barium titanate glass microspheres. The spheres hemispherically coated with a thin aluminum shell produce a bright retroreflective response directed back to the light source. 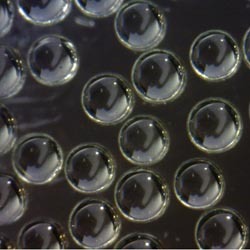 Precision Polished Grades of Solid Glass Spheres.